Thanks to its position opening onto the Pacific Ocean, Nagoya has developed into the country's busiest port and has long been an important manufacturing site of such traditional industries as ceramics and textiles. The ceramics industry was established here in the 12th century and has become somewhat of a tourist attraction thanks to its numerous workshops and factory tours. Many of the city's historic sites remain, including its 16th-century castle, which like much of the city center, was rebuilt after the destruction of WWII. These days, this large city is a pleasure to explore for its excellent network of wide modern streets, world-class attractions including museums and art galleries, plus countless points of interest such as its many historic shrines and temples. Discover the best places to visit in the city with our list of the top tourist attractions in Nagoya. The Atsuta Shrine, widely considered the most important Shinto shrine in Japan, was established in the first century AD and is famous for its preserved Imperial insignia, the "grass-mowing sword" (kusanagi-no-tsurugi), one of only three in the country. According to Japanese mythology, the sword originally belonged to the storm god Susanoo but was presented to legendary hero Yamato-takeru as he set out to conquer the eastern provinces. When his enemies tried to kill him by setting the long grass on fire, he saved himself by mowing the grass with his sword (the name of the shrine, Atsuta, means "burning field"). In the northern part of the wooded precinct is the principal shrine, Hongu, surrounded by an enclosing wall, and to the east is the Treasury, a modern building that contains a large number of works of art including old and modern paintings, ceramics, jewelry, and traditional masks. Hot Tip: With nine million visitors annually, the Atsuta Shrine is busy, so try to time your visit near opening or closing to avoid the crowds, or during the off-peak seasons such as spring or autumn. 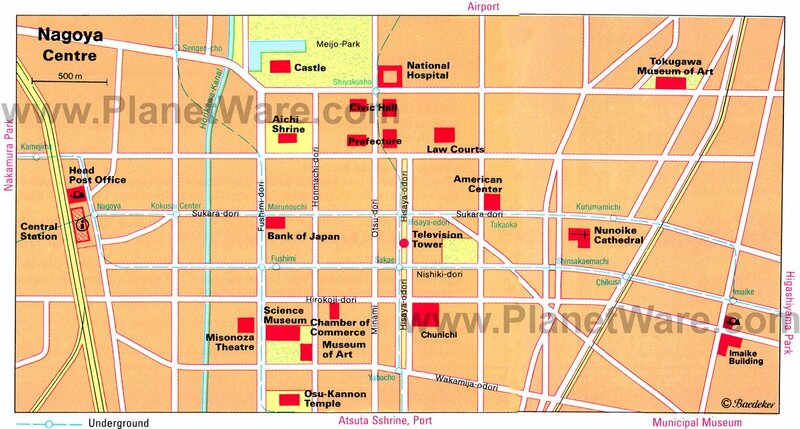 Nagoya Castle was completely rebuilt in 1959 and remains one of the city's most important (and visited) landmarks. Built in 1612, this splendid moated complex includes highlights such as a 48-meter-tall main tower, famous for its two gilded dolphins (shachi) high up on its gables, and which now houses a museum containing art treasures, including painted wall screens, sliding doors, and wall paintings mainly of the Kano school. From the fifth floor of the tower are extensive views of the city and the Nobi Plain. Three of the original corner towers survive, along with the second gateway and walls, and they are fun to explore, as is the nearby Ninomaru Garden with its teahouse. If you're not averse to winter travel, seeing the castle shrouded in snow is a never-to-forget experience. Just 24 kilometers north of Nagoya's city center, the Meiji-mura Village Museum in Inuyama is an open-air museum featuring many fine examples of Japanese architecture from the Meiji period of 1868 to 1912. All told, the site consists of more than 60 buildings of interest that were brought here and reassembled from across the country, including a prison, post office, bathhouse, churches, and homes, many of them influenced by design elements from western nations. Numerous buildings are open to the public and house furniture, temporary exhibits, and other items related to the respective buildings, and a historic tram and bus service (as well as a vintage steam train) makes this a fun diversion. Of special interest are elements of the old Imperial Hotel, a unique design created by famous American architect Frank Lloyd Wright. If you're traveling with kids, try to allocate some time in your itinerary to visit the nearby Little World Museum of Man; they'll love the opportunity to dress up in traditional costumes from around the world. Perhaps the best known of Nagoya's world-class art facilities is the excellent Tokugawa Art Museum, home to many treasures that once belonged to the city's wealthy Tokugawa family, including numerous fine paintings, items of porcelain, weapons, and documents. Of particular note are the 43 parts of the famous Genji-monogatari-emaki, a picture scroll made by Fujiwara Takayoshi, and the Saigyo-monogatari-emaki, an ancient scroll depicting scenes from the life of the priest Saigyo from 1118-90. Also worth seeing is the Nagoya City Art Museum (Nagoya-shi Bijutsukan), opened in 1987 and home to a permanent collection that includes the work of Surrealist artists from around the globe, including Sean Scully, Kansuke Yamamoto, and Alexander Calder, as well as temporary exhibits. Finally, the Nagoya Museum of Fine Arts (Nagoya Bosuton Bijutsukan), sister museum to Boston's Museum of Fine Arts and notable for bringing items from the latter's collection of Impressionist and other artworks to Japan, is also worth a visit. In addition to being a bustling harbor, the Port of Nagoya in Ise Bay has become something of a tourist attraction in recent years. One of the most popular things to do, particularly for those traveling with kids, is visit the excellent Port of Nagoya Public Aquarium, with its large collection of native marine life, many exotic species of fish from across the Pacific, as well as a popular dolphin show. Also worth checking out is the Fuji, a historic Antarctic-going vessel, which now serves as an interesting museum dedicated to exploration of the South Pole, as well as a small amusement park (Sea Train Land); a lovely wildflower garden; and numerous fine walkways that crisscross the port, connecting it to the main parts of the city. Hot Tip: For a truly memorable experience, try to time your visit for the firework displays held on Marine Day and Christmas Eve. Opened in 1937 and one of the oldest (and largest) such establishments in Japan, the Higashiyama Zoo and Botanical Gardens (Higashiyama Dōshokubutsuen) makes for an excellent excursion that can easily occupy the best part of a day. Part zoo, part amusement park, and part botanic garden, this popular tourist attraction offers plenty of fun for visitors of all ages. For animal lovers, the zoo area includes some 125 different species including gorillas, hippos, elephants, lions, tigers, giraffes, and koalas, along with tropical fish, numerous birds, and a reptile house. Afterwards, be sure to wander the pathways through the lovely botanical gardens section with its collections of both native and non-native species, as well as the 100-meter-tall Higashiyama Sky Tower with its observation platforms and restaurant offering great views over the city. Some of the best views over Nagoya are from the 180-meter-tall Nagoya TV Tower (Nagoya Terebi-tō). Built in 1954 in the heart of Hisaya Ōdori Park, the tower holds the record as the oldest electric wave tower in the country and boasts two observation decks: the Sky Balcony (outdoors) at 100 meters, and the Sky Deck (indoors) at 90 meters. Looking not unlike the famous Eiffel Tower in Paris, the site includes an informative exhibition about its history, as well as a restaurant. Be sure to spend time also exploring Hisaya Ōdori Park, a pleasant two-kilometer-long green space in the heart of the city boasting many trees, fountains, and sculptures, and regularly used as a venue for events and festivals, including the famous Nagoya Festival (Nagoya Matsuri) with its parades, traditional costumes, and music. Opened in 1994 to celebrate Nagoya's largest and most famous company, the excellent Toyota Commemorative Museum of Industry and Technology (Sangyo-Gijutsu Kinenkan) makes for a fun day out. Highlights of a visit to this science and technology museum, often simply referred to as 'Toyota Techno," include numerous still-working exhibits of the huge looms and textile manufacturing processes, which Toyota started out making in 1933, along with displays detailing its eventual transition into the world's largest automobile manufacturer, including numerous robots. Car buffs will also want to visit the huge Toyota Automobile Museum in nearby Nagakute, home to a superb collection of vintage cars made by Toyota and other leading manufacturers from around the globe. Also well worth a visit is the SCMaglev and Railway Park (Rinia Tetsudōkan), a superb museum dedicated to the Central Japanese Railway Company featuring 39 trains, along with models and a fun simulator. 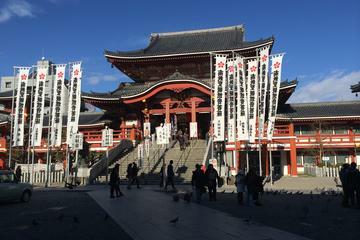 One of Nagoya's most popular districts is Ōsu, much visited for its many fine temples and shrines. One of the most important is the Buddhist temple of Ōsu Kannon (Kitanosan Shinpuku-ji Hōshō-in), built in the early 14th century in an area that turned out to be prone to flooding and moved to its current location around 1612. Rebuilt in the 1970s, this magnificent building is home to the famous red paper lantern hanging from the ceiling of the main hall to which pilgrims attach their prayers. After visiting some of Ōsu's other important temples, most notably Bansho-ji and Hongan-ji Betsuin, be sure to wander the surrounding historical streets with their many small shops offering traditional Japanese crafts and food. Started in 1876 by two brothers looking to increase Japan's trade with western markets, the Noritake ceramics company has a long and storied past in the city of Nagoya. An interesting attraction for both collectors and the curious alike is Noritake Garden, a fascinating insight into the manufacturing process of this historic ceramics company housed on the original factory grounds. Highlights include displays showcasing the company's history and antique porcelain, as well as demonstrations of the manufacturing process, hands-on workshops, and gift shops. The site's gardens are beautiful, and the grounds are also home to restaurants. One of the newest major theme parks to have been built in the country for some decades, Legoland Japan in Nagoya only opened in 2017 and is already attracting well over a million visitors a year. In addition to its numerous rides and attractions, the park includes a fascinating and extremely detailed miniature town, complete with accurate scale Lego reconstructions of recognizable landmarks from across Japan, including famous Nagoya Castle. A new hotel opened up at the site in 2018, and future plans include the addition of an aquarium. Walking Tour of Nagoya: Don't forget to pack a pair of comfy walking shoes, as Nagoya offers many great on-foot experiences. 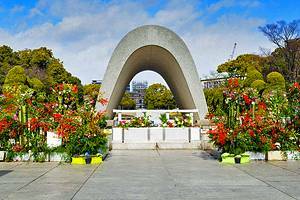 A fun way to see the best the city has to offer is to join a Nagoya Private Walking Tour. 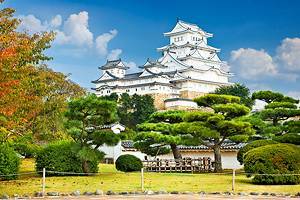 These guided tours provide insights into the fabled Samurai culture, which shaped Nagoya's past, and take in the Sakae district, the Osu Kannon Temple and, of course, Nagoya Castle (all admissions included). Experience Rural Japan: There's also plenty to see and do in the area surrounding Nagoya. 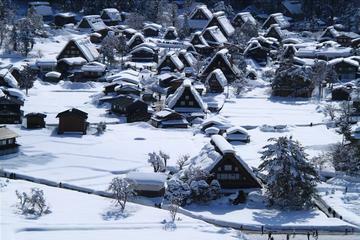 A great option for those with a full day to spare is the Day Trip to Shirakawago and Hida Takayama, an immersive 11-hour journey that provides an unforgettable slice of life in rural Japan. Highlights include a walk around the town of Hida Takayama, referred to affectionately by locals as "Little Tokyo," as well as a chance to explore Shirakawago, a UNESCO World Heritage site famous for its well-preserved traditional architecture. The tour includes all transportation, admissions, and a traditional lunch made from locally sourced produce. Nagoya at Night: Japan is an extremely safe country, so those interested in spending time exploring the best bits of Nagoya should certainly feel comfortable doing so after nightfall. Popular things to do in the evening are wandering the quaint old streets of the Endoji Shotengai Shopping Street and checking out the traditional crafts and artisan wares (as well as enjoying authentic Japanese food). Also fun is walking the perimeter of Nagoya castle, which is beautifully illuminated at night. Great Day Trips from Nagoya: Its position on the main rail routes means Nagoya is perfectly situated for fun day trips to other nearby cities. A must is taking the train to historic Kyoto, just 1.5 hours away and considered the quintessential Japanese cultural destination. From here, you can also venture off and explore the area around Kyoto, too, including such gems as Arashiyama for an authentic taste of small-town Japan. And just a short ride farther west of Kyoto is Osaka, another marvellous destination for those in search of a great cultural experience. Longer Trips from Nagoya: For those willing to travel farther afield, Nagoya is the perfect jumping-off point for all kinds of adventures. Take Nara, for example. An approximately five-hour-long return trip will expose you to the very best of this city, considered to be the epicenter of Japanese culture and home to many fine historical buildings, museums, and quaint streets, which haven't changed in centuries. Then there's Hiroshima, a three-hour rail journey (each way) to one of the world's most historically significant reminders of the cruelty of war, yet home to some of the most beautiful shrines in the world, including the remarkable Island Shrine of Itsukushima. 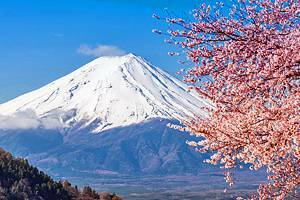 Japan Vacation Ideas: Japan certainly has no shortage of great vacation options. If you're not averse to traveling in the shoulder-season, consider the beautiful city of Sapporo on the northernmost island of Hokkaido. Come winter, the city bursts into life with its annual Sapporo Snow Festival, as well as activities such as skiing at the Mount Moiwa Ski Resort. Also worth considering are the tourist attractions of Tokyo; the nearby icon that is Mount Fuji; and the city of Fukuoka, popular for its lovely castle, shrines, and temples.